365 Days With A Food Allergy: Nostalgically Interrupted. Have you ever noticed that everything nostalgic in life is centered around food. If you're a "food allergy mom" you have! Food can captivate our 5 senses, and emote a physical reaction from simply a memory alone. It is at the heart of each culture, the stem of each tradition, and the one thing that is always carried down generation by generation-- like a most valued heirloom. People have deep pride in their food and tradition, and often aren't willing to make accommodations, even if it threatens someone's life. It is so deep seeded in emotional programming that people easily lose sight of bigger issues like their health or others'. Food becomes a blanket of security that people aren't willing to modify to defend, protect, and honor that nostalgic element of food and family recipes. It is with the wisdom one develops as a "food allergy mom", that this flaw in humanity becomes so easy to see. The exclusion, inconsiderations, and acts of unkindness open our eyes to see the world a bit differently than before. It is in this realistic and harsher perspective that I find myself completely defined, and know that my efforts will make a difference in my daughter's life and others. Every mother wants to feel like she's a good mom. We want to be able to make our child feel safe when they're scared, better when they're hurt, and happy when they're sad. This is an especially important, intentional act of love and kindness that "food allergy moms" strive for, because our kids grapple with any sense of security and safety in the outside world. Once you've witnessed your child having a severe allergic reaction and felt the real fear of losing them forever, you change and you learn quickly. You live with a little piece of that fear every day, always wondering when it will creep back into your reality. You become a food expert, learning to read labels, then learning not to trust labels after the hundreds of recalls that happen months after the fact. Most things prepackaged and "easy" have some level of potential contamination. I never used to know my way around a kitchen, but now I feel a sense of confidence and relief to make our food from scratch--knowing every single ingredient. I don't use shortcuts like buying already chopped veggies or fruit for fear of cross contamination on the knife that cut them and the preservatives added to them. In the efforts to avoid food allergens from our kids diet, "food allergy moms" end up feeding our children a more wholesome, natural diet. Our children become better fed and I can't help but question "what's going on with the top 8 allergens" that are sending someone to an E.R. near you every 20 minutes. Today, 1 in 13 children have a food allergy, that's roughly 2 in every classroom! That's 'today' and this "condition" in rapidly spreading. These kids are segregated at the lunch table, labeled with signs, shirts, and bracelets of their allergy, all in an effort to remind the adults not to forget to compromise their lives. Yet these children deal with life threatening bullying, isolation, and total derision. Most people, by now, have heard of how peanut allergies can be life threatening just through airborne protein particles. They've probably even heard of the hundreds of times teens with peanut allergies had their lives compromised by their peers-just trying to see if they actually would die around peanuts, by rubbing peanut butter on them in a social, school or sports setting. As horrible and real as that scenario is, peanuts are not the only food that can carry airborne anaphylaxis. Any of the top 8 food allergens including wheat, milk, soy, shellfish, fish, peanuts, tree nuts, and eggs all have the ability to create an immune response (IGE) to the point of anaphylactic shock. These 8 foods make up 90% of food allergies. I am the mother of a 6-year-old with a life threatening food allergy to milk. She severely reacts through physical contact/touch, airborne, and ingestion of milk proteins. Her allergy has changed the way we view the world and the people in it. We've set up ground rules i.e., she doesn't go inside anyone else's home (contact/ airborne precautions), we steer clear of populated parks that I cannot wipe down, and she's learned to protect herself with her "allergy gloves" and "allergy leggings." These precautions make leaving our home possible, and are the method in which we keep her alive and breathing every day. We do the very best we can to keep things seemingly "normal", yet chronically controlling our environments. As a parent, you want to let them feel free to let their minds explore without letting the anxiety of their own memories of scary allergic reactions inhibit their youthful inquisitive minds. We can try to not discuss the severity and ramifications of their allergy to some level by assuming complete responsibility of every thing all of the time, but shielding them with avoidance doesn't prepare them for life. This is an area that has a vast range of opinions I see argued over on social media constantly, but, to me, it's a really personal position. I chose loving honesty with my daughter. We've been through hundreds of allergic reactions and we've come to such a close place in our trust in one another that we can and do talk about anything. I do not brave the school system and the tough moms in it that think her life isn't worth their diligence or efforts. Her safety could not be guaranteed and for this reason, I homeschool. At least I thought that was what I was doing until I actually really got into our curriculum and saw her brave and unique mind take off! Now, I see our homeschool journey as more than need based. She's thriving beyond any expectations I had. I know I could kick and scream and demand equality in the public school forum, but food is so entangled in that situation. I'm just not willing to accept the kickback that may threaten her life during this revolution. But, with that said, I honor the parents who are braving the public school setting. I think if my 6 year old were only ingestive reactive, I may have strapped up and braved that war. To me, the schools aren't ready for her level of food allergy. The airborne, contact kind. It's one thing to have a food allergy that prevents you from eating the food. Sitting next to your friend who's eating pizza and being just fine vs. going into anaphylaxis because there is milk proteins in the air and on the table you're touching. I cannot control the invisible and that invisible component has haunted and defined our lives for 6 years. It's an emotional roller coaster in all senses of the wording. There are family dynamic issues between the family members who get it and really try, and those who don't even make the effort to think about it. It affects your level of comfort with anyone you deem a risk. Friends you've had forever and thought nothing could tear you apart--this one can. Marriages are tried to the max dealing with finding a unity between allergy awareness in both sides of families. The 87% divorce rate in life threatening food allergy parents defines how much of a struggle this can be. Every part of your arsenal of childhood memories feel irrelevant and not helpful to your readiness to handle the situation. Doctors can figure out the allergy, but then tell you to avoid it in this world of people who don't want to help, then give you a prescription for some epinephrine devices in case your child's life hangs within minutes of a fatal reaction. It's not exactly a diagnosis that has a cure or compassion even. The fastest growing epidemic in the world is inexplicably a challenging life. I can see how some people break. This is when you have to decide to take this allergy on as a family unit and reevaluate your priorities including food. When you all play on the same team you can earn a sense of camaraderie. Trust me, you need to feel this somewhere. A food allergy affects the whole household and each member of the family will have their own struggles because of this uninvited house guest, The Food Allergy. Two years ago, I started to see the emotional toll this allergy was taking on my then 4-year-old. My vibrant, social butterfly was becoming quiet, difficult to talk to, and utterly sad. It killed me because I knew she was reacting to the isolation and distance the people in our life were putting between us. We had tried so hard to give needed information to everyone and the people she loved were compromising her life. She would constantly have allergic reactions in their presence and be afraid to say anything. Then we learned we weren't being invited to family events, friends parties, because nobody was making any effort to keep us connected at some level. She didn't even want to mention the word food allergies. This made it difficult for me to help her and treat her when she was reacting to something that she had touched. I would say "come here sweetie I want to take a look at you" and she would respond "I'M NOT HAVING AN ALLERGY, I'M FINE." She clearly was having an allergic reaction, and I was trying to get a handle on it before it went too far. In desperation, I became truly worried as I reached out to church friends; then infiltrated myself in the organic community, since they seemed to know and care about ingredients, and were consciously aware of food in their lifestyle as well. I placed ads looking for other families with food allergies. My efforts were, for the most part, unsuccessful. Then, I realized that if I didn't have resources then neither did the other thousands who, out of statistics, were all around me. This concerned me deeply and I made a huge lifestyle change. I started the 501C-3, Food Allergy Resources & Mentoring (FARM) with hopes of creating safe, inclusive events and get togethers with families living with and affected by food allergies. Hosting free-to-the-public events such as our Non-Edible Easter Egg Hunt, where we scavenge for non edible goodies, visit with Easter Bunny and grow our network of families living with food allergies. Instantly, the topic of food allergies turned into something that was not about my daughter, but about all of the children with food allergies. My daughter began to blossom and develop pride in who she is. 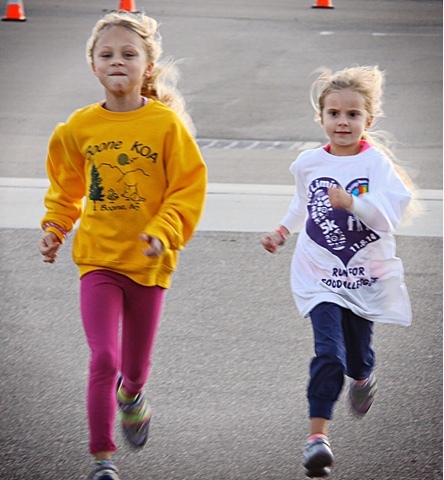 Months later we put together a community 5K to raise awareness of food allergies, where she spoke to other kids in a mentoring type of way that literally brought me to tears. She broke her shell of shame and isolation that is placed on kids with food allergies. As we continue on our journey of self discovery and social responsibility, we have found ourselves closer, stronger, and proud of who we have become. The strength she is achieving is the kind that will last her lifetime. I'm always looking for Moms who deal with food allergies. We're all so different, yet connected by this part of our lives. 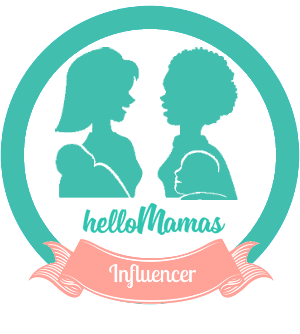 Please reach out if this hits home to you and stay connected through Hello Mamas where we can meet moms like us.